When a person is injured as a result of someone else’s negligence whether, motor vehicle accident, catastrophic injury or wrongful Death.Have you been injured because of the negligence or intentional acts of someone else or their product? 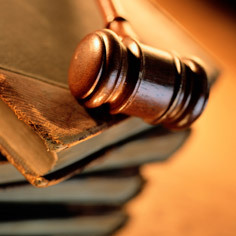 Royal & Miles LLP represents individuals involved in controversies alleging a wrong or damage to another’s person, rights, reputation, or property resulting from events or activities such as motor vehicle accidents, products liability, infliction of emotional distress, intentional misconduct, and negligence. Many personal injuries result from motor vehicle accidents. Motor vehicle accidents may involve negligence on the part of drivers, including drunk driving and reckless behavior. If you or someone you know has been injured in a motor vehicle accident, let our attorneys assist you in receiving compensation for your injuries, which may include lost wages, pain and suffering, and other damages. Royal & Miles LLP has years of experience in representing individuals who have been injured as a result of an unsafe product that was designed, manufactured, sold, and/or furnished by a person or company. If you or someone you know has been injured as a result of an unsafe product, our attorneys can assist in bringing your claim, and seeking fair compensation for your injuries. If you’ve lost a loved one in an accident, or as the result of a faulty or defective product or piece of equipment, the attorneys of Royal & Miles LLP can represent your interests against the parties at fault and seek damages on your behalf. We have even litigated against State and local governmental entities as we fight to protect the rights of injured victims and their families.